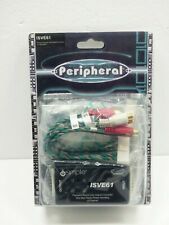 2010-2011 RX8 iSimple PGHMZ1 Sirius Radio Ipod Interface Harness For Pxamg/pxaux. CANNOT be used as a standalone adapter; requires PXAMG to connect to your factory radio. 2010-2011 3 Series. 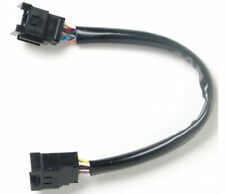 Peripheral PGHNI2 iPod Harness for PXAMG Nissan / Infiniti Specific. 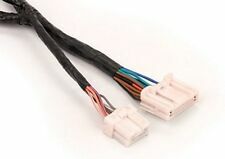 The PGHNI2 harness is only compatible with PXAMG modules that have a serial number ending in ".3x" Infiniti. SKU: PGHNI2. 2007 G35 Sedan requires the PGHNI2 harness. This item is an adapter to use with a 1995 to 2000 General Motors vehicle. To work with a Kenwood 6 or 10 disc changer it also gives the option of adding Auxilary input from your phone or whatever. This is a great piece from Peripheral. Auxiliary RCA Input for Alpine Ai-Net Radios. Gold-plated, color-coded RCA jacks. Enables component video and digital audio signals over long distances. For maximum signal transfer. Designed for vertical or horizontal installation. Installation Harness. - OEM Harness. 1992-99 Lexus Vehicles with Premium Sound System. 1992-1999 LEXUS. - Wall Mount Brackets. 1992-99 Toyota Vehicles with Premium Sound System. 1992-1999 TOYOTA. - Installation Adapters. 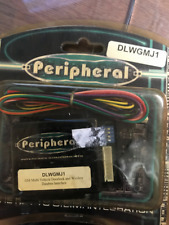 Peripheral PXHGM3 Installation harness for the PXDX/PXDP in select 1996-07 GM!! 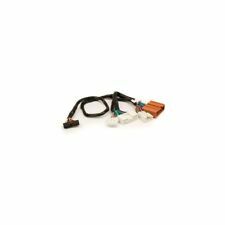 PAC/Peripheral PXHGM3 harness will allow you to install PeripheraliPod2car, Aux2car and PCD10 products to select 1996-07 GM vehicles. 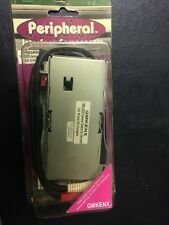 The PXHGM3 in 1 ft. long with a 12-pin male connector and peripherals proprietary connector for iPod2car/Aux2car/PCD10 and because of that this cable will only work with these products. Empty Sub Boxes. - Factory Radio. Peripheral electronics accessories make installations easy. With easy to follow directions, and years of experience every accessory you buy will make your installation easier. Peripheral PXA04 Jvc Aux Audio Cable With iPod Dock For 3.5Mm And Rca Connectors Peripheral PXA04 iPod Dock, 3.5 mm and RCA Auxiliary input for JVC. - iPod Solutions. Car Audio Accessories. - Sound Damping. Without the OnStar or Premium BOSE sound system. - Kick Panels. - Factory Radio. Uses genuine Delphi chip for seemless integration. - Signal Processors. - Motorcycle Speakers. Generates 12-volt accessory output & retains RAP function. The PXDXBMW is the latest programmable plug-&-play auxiliary input interface developed by Peripheral Electronics. The PXDXBMW is compatible with select late model BMW vehicles. This interface allows the connection of any auxiliary source directly into to the factory radio for the best possible sound quality. Kick Panels. - Fuse Holders. - Installation Harness. - OEM Harness. - Installation Adapters. - Installation Interfaces. - Wire Harnesses. - Wall Mount Brackets. Kick Panels. - Fuse Holders. - Installation Harness. - Motorcycle Speakers. - OEM Harness. Car Audio Accessories. - Electric Guitars. - Wire Harnesses. Fuse Holders. - Installation Harness. - OEM Harness. Policies & Support. Empty Sub Boxes - Nissan. - Wire Harnesses. - Wall Mount Brackets. - Custom Fit Headrest Monitors. Kick Panels. - Installation Harness. - OEM Harness. - Installation Adapters. - Installation Interfaces. - Wall Mount Brackets. - Speaker Box Fabric. We are here to help! Installation Harness. - OEM Harness. 2001-2003 LINCOLN. - Installation Adapters. - Installation Interfaces. - Sound Damping. 2001-2003 FORD. Empty Sub Boxes - Ford. Installation Harness. - OEM Harness. 1995-1998 LINCOLN. - Installation Adapters. - Installation Interfaces. - Sound Damping. 1995-1998 FORD. - Wall Mount Brackets.